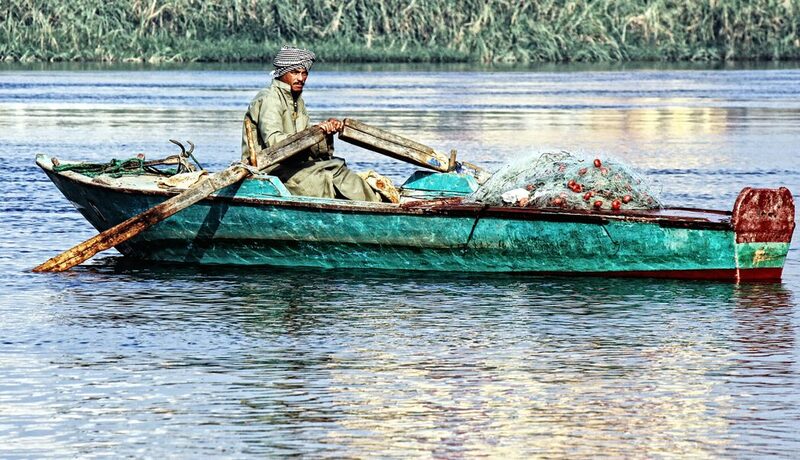 Fishing on the Nile. Photographer Islam Hassan. Fleck, John. 2016. Water is for Fighting Over and Other Myths about Water in the West. Washington: Island Press. https://islandpress.org/book/water-is-for-fighting-over. Kang, Simi. 2018. “States of Emergence/y: Coastal Restoration and the Future of Louisiana’s Vietnamese/American Commercial Fisherfolk.” Open Rivers: Rethinking Water, Place & Community, no. 10. http://editions.lib.umn.edu/openrivers/article/states-of-emergence-y/. Mizelle Jr., Richard M. 2016. “Princeville and the Environmental Landscape of Race” Open Rivers: Rethinking The Mississippi, no. 2. http://editions.lib.umn.edu/openrivers/article/princeville-and-the-environmental-landscape-of-race/. Human relationships with water have moved toward control of water despite the reality that water often exceeds our human designs. Yet how might our relationships differ if we focus on knowing waters rather than intervening on them? Here we offer readings that are provocations for reevaluating our designs on water and exploring how we might learn to know water differently. Buturian, Linda. 2018. “The River is the Classroom.” Open Rivers: Rethinking Water, Place & Community, no. 10. http://editions.lib.umn.edu/openrivers/article/the-river-is-the-classroom/. Little, Barbara J., and Katie Crawford-Lackey. 2017. “Where the Water Takes You: Unlocking Place-based Meanings through Inquiry at the Tidal Basin in Washington, D.C.” Open Rivers: Rethinking Water, Place & Community, no. 7. http://editions.lib.umn.edu/openrivers/article/where-the-water-takes-you/. McPhee, John. 1987. “Atchafalaya.” The New Yorker, February 23, 1987. https://www.newyorker.com/magazine/1987/02/23/atchafalaya. Underhill, Joseph. 2017. “What we Learned from the River.” Open Rivers: Rethinking The Mississippi, no. 6. http://editions.lib.umn.edu/openrivers/article/what-we-learned-from-the-river/. Yarina, Lizzie. 2018. “Your Sea Wall Won’t Save You. ” Places Journal, March 2008. https://placesjournal.org/article/your-sea-wall-wont-save-you/. Our relationships to each other are shaped in part by how we engage with the natural world. We form our identities through entanglements with water, place, and other people. Water helps shape who we are just as we reciprocally have impacts on water. In this section, the readings encourage us to consider how water is implicated in the ways we form identity and community. Huxtable, Tyler. 2017. “Making an Icon out of the Los Angeles River.” Open Rivers: Rethinking The Mississippi, no. 6. http://editions.lib.umn.edu/openrivers/article/making-an-icon-out-of-the-los-angeles-river/. Langston, Nancy. “The Wisconsin Experiment.” Places Journal, April 2017. https://placesjournal.org/article/the-wisconsin-experiment/. Matteson, Shanai. 2018. 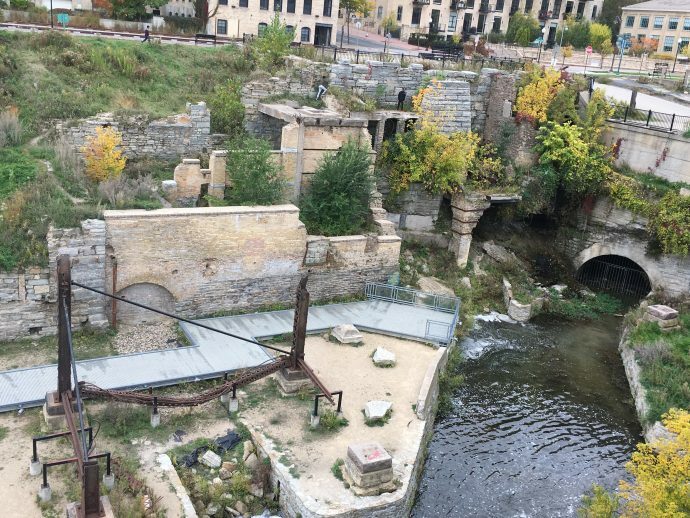 “Water Bar: Water is All We Have.” Open Rivers: Rethinking Water, Place & Community, no. 9. http://editions.lib.umn.edu/openrivers/article/water-bar/. Ruskey, John, and Boyce Upholt. 2018. “Free-Flowing Waters: A Vision for a Lower Mississippi River Wilderness.” Open Rivers: Rethinking Water, Place & Community, no. 9. http://editions.lib.umn.edu/openrivers/article/free-flowing-waters-a-vision-for-a-lower-mississippi-river-wilderness/. Vanderbilt, Tom. “The City and the Sea.” Places Journal, May 2013. https://placesjournal.org/article/the-city-and-the-sea/. Water is both a physical material and inextricably tied to human systems. As a physical material, we analyze processes that affect the chemical composition, biological systems, and physical flows of water. As part of social systems, water is tied to human practices, livelihoods, and interventions. How we understand water as a physical material and a cosmological presence can reconfigure how we relate to water and the world more broadly. Texts in this section challenge us to think about water through multiple lenses. Carlson, Andrea. 2018. “On The Uncompromising Hand: Remembering Spirit Island.” Open Rivers: Rethinking Water, Place & Community, no. 9. http://editions.lib.umn.edu/openrivers/article/on-the-uncompromising-hand-remembering-spirit-island/. Stensrud, Astrid B. 2016. “Climate Change, Water Practices and Relational Worlds in the Andes.” Ethnos, vol. 81, no. 1: 75–98. We interact with water at the level of experience, yet we understand water as a global material, universally necessary for life. We make claims about water at both these scales and often the differences in scale reveal conflicting ideas, needs, problems, and potentials. These readings highlight some of the challenges of trying to engage and care for water across scales of interaction and knowing. Bierbrauer, Anna. 2017. 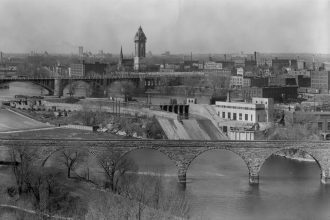 “Lost to Progress: Upper Mississippi River and Minneapolis Parks Development.” Open Rivers: Rethinking Water, Place & Community, no. 7. http://editions.lib.umn.edu/openrivers/article/lost-to-progress/. Mazack, Jane E. 2016. “The Once and Future River: A Present Snapshot.” Open Rivers: Rethinking The Mississippi, no. 4. http://editions.lib.umn.edu/openrivers/article/the-once-and-future-river-a-present-snapshot/. Norman, Emma S., Christina Cook, and Alice Cohen. 2015. Negotiating Water Governance: Why the Politics of Scale Matter. London and New York: Routledge. https://www.routledge.com/Negotiating-Water-Governance-Why-the-Politics-of-Scale-Matter/Norman-Cook/p/book/9781409467908. Tvedt, Terje, and Eva Jakobsson. 2006. “Introduction: Water History is World History.” In History of Water, edited by Terje Tvedt and Eva Jakobsson, ix–xxiii, Series 1, Vol. 1, Water Control and River Biographies, (series editor Terje Tvedt). London and New York: I.B. Tauris. https://waterhistory.w.uib.no/series-1/volume-1/. Tvedt, Terje, and Terje Oestigaard. 2014. “Urban Water Systems – A Conceptual Framework.” In History of Water, edited by Terje Tvedt and Terje Oestigaard, 1–21, Series 3, Vol. 1, Water and Urbanization, (series editor Terje Tvedt). London and New York: I.B. Tauris. https://issuu.com/uibgeografi/docs/vol7. From narratives that demonstrate human reverence for water as pristine, cleansing, and unifying to narratives of water as the site of conflict, challenge, and uncertainty, we simultaneously hold water as both a source of struggle and a source of peace. The pieces in this section demonstrate the paradox of our affective and social relationships with water. Cheramie, Kristi Dykema, and Michael Pasquier. 2013. “The Lost Graves of the Morganza Floodway.” Places Journal, January 2013. https://placesjournal.org/article/the-lost-graves-of-the-morganza-floodway/. Davis, Meredith. 2016. “Re-imagining the River: The Transformation of New York’s Waterways in Marie Lorenz’s Tide and Current Taxi.” Open Rivers: Rethinking The Mississippi, no. 3. http://editions.lib.umn.edu/openrivers/article/re-imagining-the-river-the-transformation-of-new-yorks-waterways-in-marie-lorenzs-tide-and-current-taxi/. Hagen, Roar, Graham Chapman, and Terje Tvedt. “Water, Geopolitics and Collective Power in the New World Order.” In History of Water, edited by Terje Tvedt, Graham Chapman, and Roar Hagen, 3–27, Series 2, Vol. 3, Water, Geopolitics, and the New World Order, (series editor Terje Tvedt). London and New York: I.B. Tauris. https://issuu.com/uibgeografi/docs/vol6. Matson, Laura. 2017. “Treaties & Territory: Resource Struggles and the Legal Foundations of the U.S./American Indian Relationship.” Open Rivers: Rethinking The Mississippi, no. 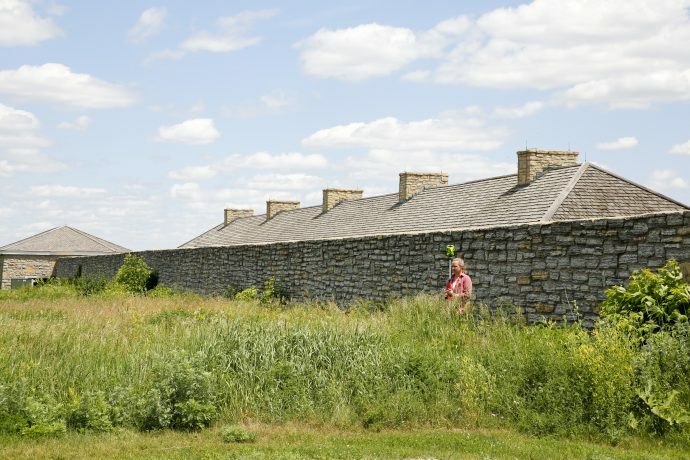 5. http://openrivers.umn.edu/article/treaties-territory/. Westerman, Gwen, Nenette Luarca-Shoaf, and Laura Turner Igoe. 2016. “Depicting the Power of Water in Art and Poetry.” Open Rivers: Rethinking The Mississippi, no. 3. http://editions.lib.umn.edu/openrivers/article/depicting-the-power-of-water-in-art-and-poetry/. The texts listed in this section focus on water in Minnesota and the myriad complexities of social and ecological systems in this place. Anfinson, John O. 2017. “What It Means to be a ‘Partnership Park’ – The Mississippi National River and Recreation Area.” Open Rivers: Rethinking The Mississippi, no. 5. http://openrivers.umn.edu/article/what-it-means-to-be-a-partnership-park-the-mississippi-national-river-and-recreation-area. Devitt, Stephanie. 2018. The State of Minnesota’s Water: An Evaluation of Stakeholder Perspectives on Water Priorities. Minneapolis: McKnight Foundation. https://www.mcknight.org/wp-content/uploads/McKnight-RiverReport.pdf. Smith, Mona M. 2016. “Owámniyomni, a Dakota Name for ‘St. Anthony Falls.’” Open Rivers: Rethinking The Mississippi, no. 4. http://editions.lib.umn.edu/openrivers/article/owamniyomni-a-dakota-name-for-st-anthony-falls/. University of Minnesota Water Resources Center. 2011. Minnesota Water Sustainability Framework. St. Paul: University of Minnesota Water Resources Center. https://www.wrc.umn.edu/sites/wrc.umn.edu/files/mwsframeworkcompletefinal1_201_0.pdf. Wells, John, and John Helland. 2002. Connecting with Minnesota’s Urban Rivers. St. Paul: Minnesota Planning. https://www.eqb.state.mn.us/connecting-minnesotas-urban-rivers-helping-cities-make-sustainable-choices-future. At every scale—global to local, national to state—water for agriculture poses a perplexing paradox. Certainly, water is necessary to grow crops, and in many watersheds, agriculture is the largest water user. At the same time, agricultural practices often contribute substantially to water pollution, sending excess nutrients downstream with negative consequences. In the United States, agriculture is cited as the leading cause of the “dead zone” at the mouth of Mississippi, an area where marine live can no longer survive. Selections here discuss the complex relationship between agricultural practice and water quality. Elzufon, Betsy. 2015. Collaborating for Healthy Watersheds: How the Municipal & Agricultural Sectors are Partnering to Improve Water Quality. Washington, D.C.: Agee, National Association of Clean Water Agencies, and U.S. Water Alliance. http://uswateralliance.org/sites/uswateralliance.org/files/publications/2015-01-30muni_ag_wp_0.pdf. IAASTD. n.d. Agriculture at a Crossroads: Findings and Recommendations for Future Farming. Global Agriculture: Bochum, Germany. Accessed July 20, 2018. https://www.globalagriculture.org/. Lilliston, Ben, and Lachlan Athanasiou. 2018. “From the Ground Up: The State of States on Climate Adaption for Agriculture.” Executive Summary. Minneapolis: Institute for Agriculture and Trade Policy. https://www.iatp.org/state-climate-adaptation-plans. U.S. Water Alliance. 2014. Coming Together to Protect Mississippi River Watersheds: Agriculture and Water Sector Collaboration for Nutrient Progress. Washington, D.C.: U.S. Water Alliance. Pacific Institute. 2018. “Issues We Work On: Water, Food, and Agriculture.” Oakland, CA: Pacific Institute. http://pacinst.org/issues/water-food-and-agriculture/. Editors of Open Rivers. 2018. “Paradoxes of Water: A Reading List.” Open Rivers: Rethinking Water, Place & Community, no. 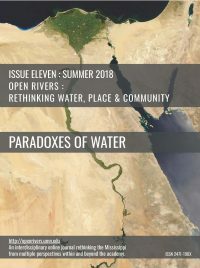 11. http://editions.lib.umn.edu/openrivers/article/paradoxes-of-water-a-reading-list/. Download PDF of Paradoxes of Water: A Reading List by Editors of Open Rivers.